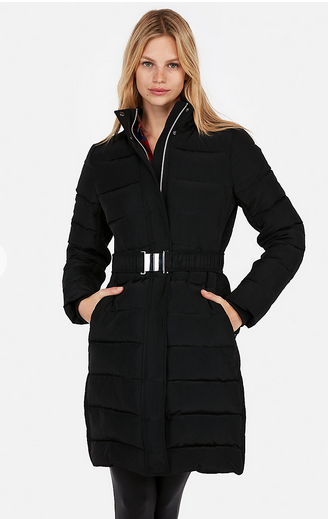 Burberry's beautiful puffer coat with belt retails for $1290 and is a classic piece that will last in your closet for years. If you are on a budget, but still want the classic look for a lot less, Express has a jacket which retails for $228 but is currently on sale for $136.80. Click HERE to view or purchase (available in other colors as well).